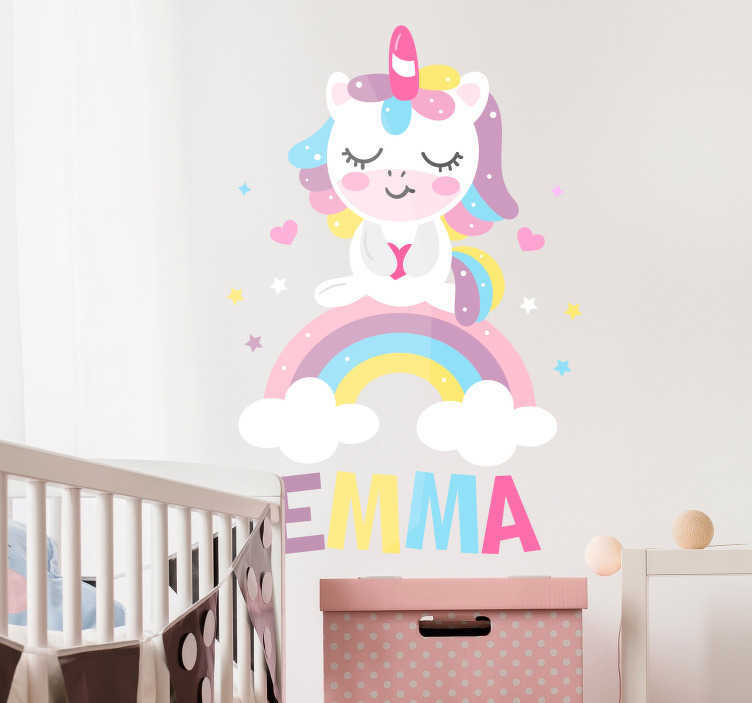 Decorate your bedroom with this fantastic customisable wall decal, depicting a unicorn, looking absolutely stunning on top of a rainbow! Ideal personalised bedroom decor for those children who love the magical world of unicorns and wish to step into that world themselves! Can be customised with any name of your choosing, so whether it be a first name, a last name of anything else you think looks great - We have something for you!